Courtesy of Southwest Mountain Realty, LLC. This will make a great home or investment property, Priced to sell, AS IS 2 bedroom plus den or possible 3rd bedroom 1999 Fleetwood. 1274 Sq ft, large kitchen with eating area which is open to the great room. Fully fenced yard with NO HOA. Home can be bought with all the furnishings making it a great second home to get out of the heat in the valley. Come enjoy the cool mountain air and enjoy the beautiful stars at night. Call today to make an appointment! It’s not going to last long at this price! Approximate size: 5663.00 sq. ft. 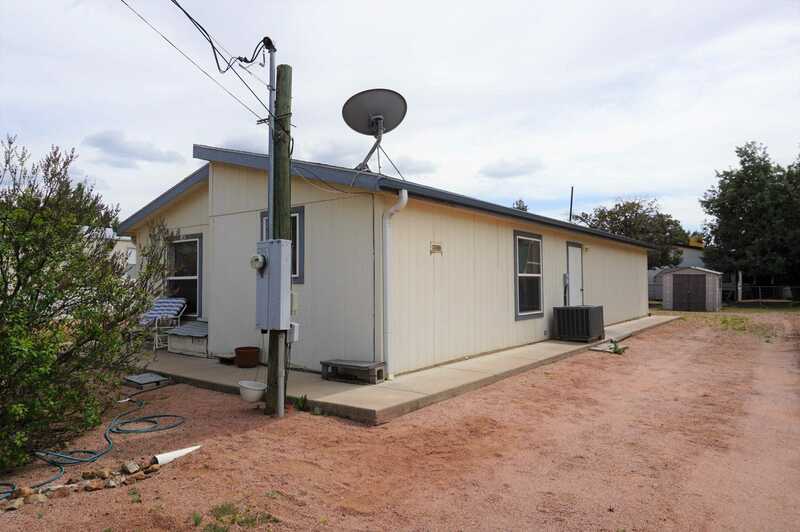 Please, send me more information on this property: MLS# 5911595 – $129,000 – 8186 W Camino Real –, Payson, AZ 85541. I would like to schedule a showing appointment for this property: MLS# 5911595 – $129,000 – 8186 W Camino Real –, Payson, AZ 85541.